Sarah Palin to Rahm Emanuel: "U Lie"
Sarah Palin didn't appreciate Rahm Emanuel's characterization of the Republican Party over the weekend and criticized the White House Chief of Staff on Twitter. Palin tweeted, "RahmEmanuel=as shallow/narrowminded/political/irresponsible as they come,to falsely claim Barton's BP comment is 'GOP philosophy," adding, "Rahm, u lie." 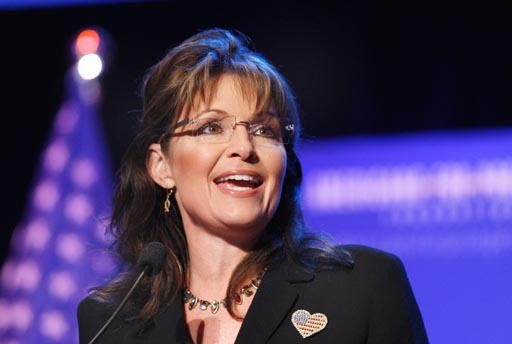 Palin's comments came shortly after Emanuel said on ABC's This Week that Rep. Joe Barton's (R-Texas) apology to BP CEO Tony Hayward during his congressional hearing exposed a common Republican sentiment that the real victim in the Gulf oil spill is BP. "That's not a political gaffe, those are prepared remarks," Emanuel told ABC. "That is a philosophy. That is an approach to what they see. They see the aggrieved party here as BP, not the fishermen." He added, "In case you forgot what Republican governance is like, Joe Barton reminded you." During the congressional hearing last Thursday, Barton made headlines when he called a White House meeting with BP officials and the $20 billion escrow fund set up for victims of the oil spill a "shakedown" and apologized to both Heyward and BP. Barton rescinded the statement later that day after facing pressure from both Democrats and Republicans and the threat of losing his position on the Energy and Commerce Committee. Palin wasn't the only one upset by Emanuel's comments. On CNN's State of the Union, Sen. Lisa Murkowski (R-Alaska) called the chief of staff wrong and criticized the Democratic National Committee for running ads tying Barton's comments to the Republican Party. She called Barton's remarks inappropriate and said they should be overlooked for more important issues. "Let's focus on providing what the people of the Gulf need, not pointing fingers back and forth and saying 'oh what you said is wrong,'" Murkowski said.